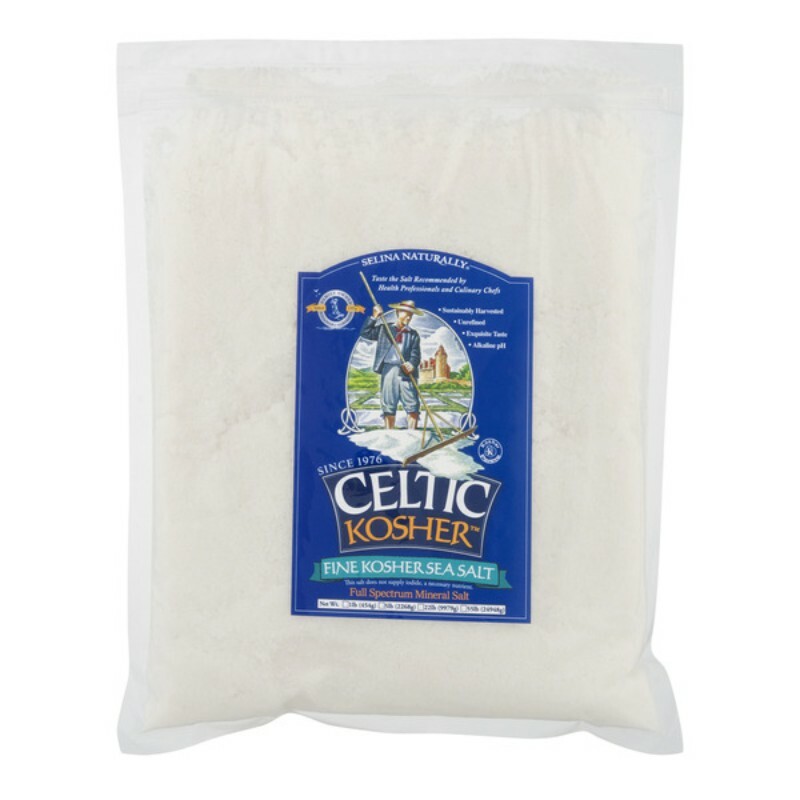 Celtic Kosher™ Fine Ground sea salt is a pure unrefined, delicious, moist Kosher sea salt. You don’t have to use much of this salt because it delivers so much flavor. The fine ground has a nice delicate crunch. The moist crystals crush easily between your fingers and are easy to use in almost any food application. It dissolves easily in low to high temperatures. 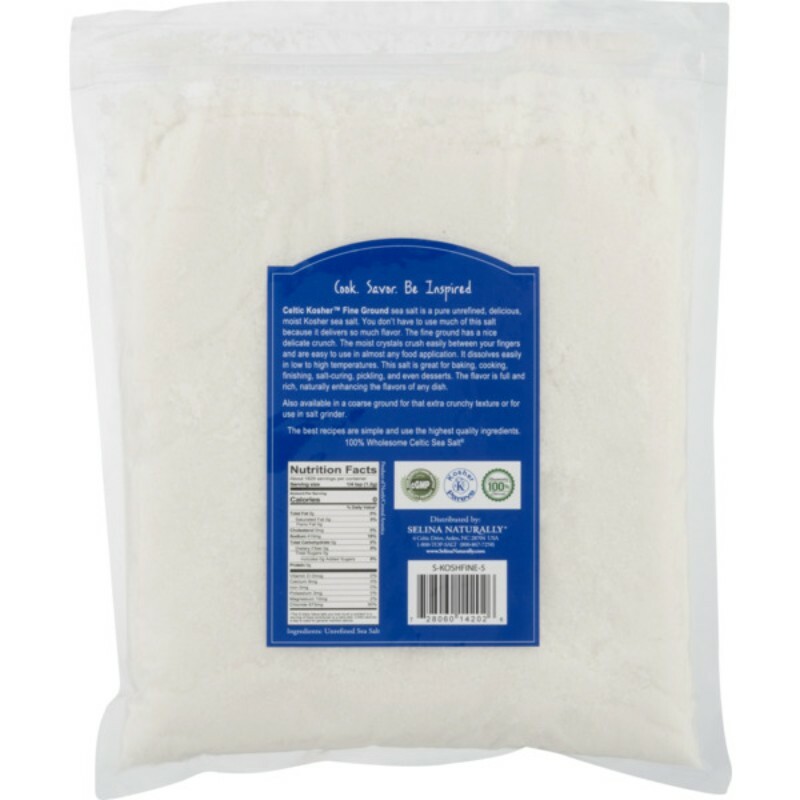 This salt is great for baking, cooking, finishing, salt-curing, pickling, and even desserts. The flavor is full and rich, naturally enhancing the flavors of any dish. Also available in a coarse ground for that extra crunchy texture or for use in salt grinder. The best recipes are simple and use the highest quality ingredients.